I found these pictures today. 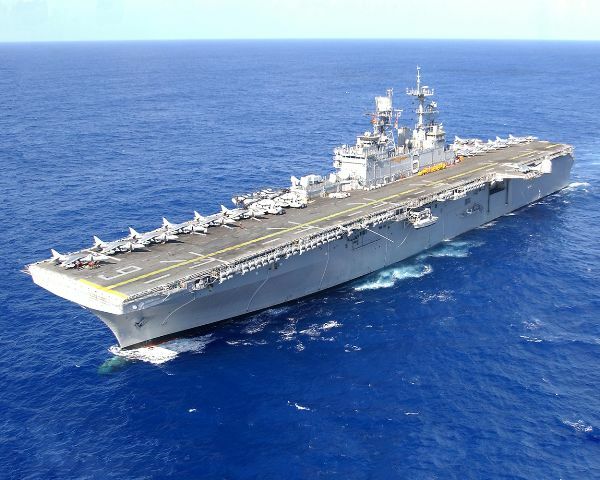 The USS Bonhomme Richard received its first supplies at sea. LCpl Honda is probably in these pictures somewhere, but of course I can not tell where. Nothing new there. 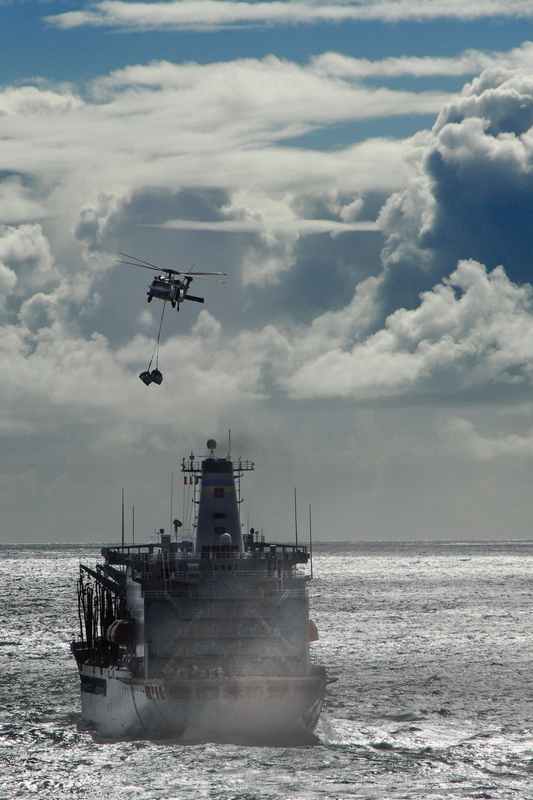 A MH-60S Seahawk carries supplies from fleet replenishment oiler USNS Henry J. Kaiser to USS Bonhomme Richard here Sept. 30 during an underway replenishment. The resupply was the first for Bonhomme Richard since deploying Sept. 24 with more than 1,200 11th Marine Expeditionary Unit members. 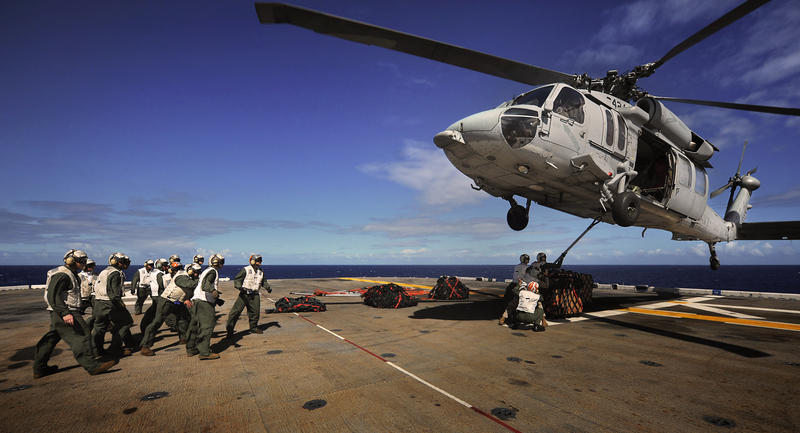 Marines aboard USS Bonhomme Richard here prepare to connect a pallet to a hovering MH-60S Seahawk helicopter during an underway replenishment Sept. 30. The re-supply was the first for Bonhomme Richard since deploying Sept. 24 with more than 1,200 11th Marine Expeditionary Unit members. 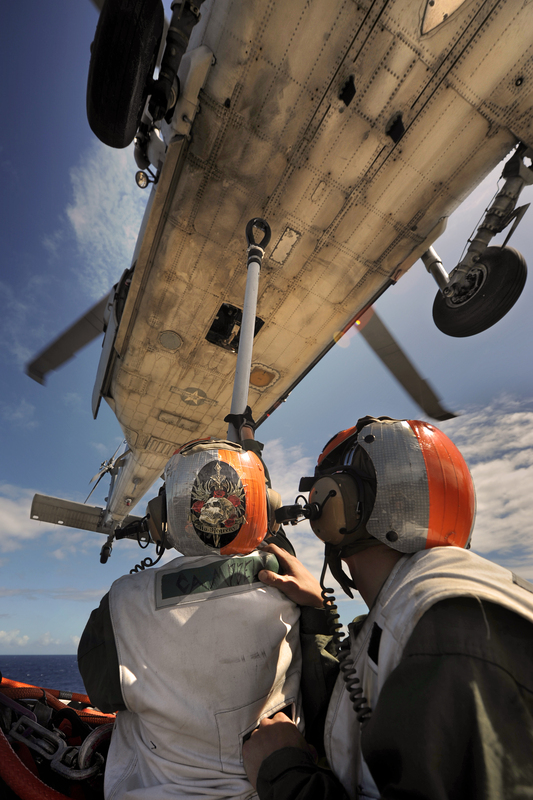 Combat cargo Marines and sailors aboard USS Bonhomme Richard here connect cargo nets to an MH-60S Seahawk helicopter during an underway replenishment Sept. 30. The re-supply was the first for Bonhomme Richard since deploying Sept. 24 with more than 1,200 11th Marine Expeditionary Unit members. I am pretty sure LCpl Honda is in this picture. 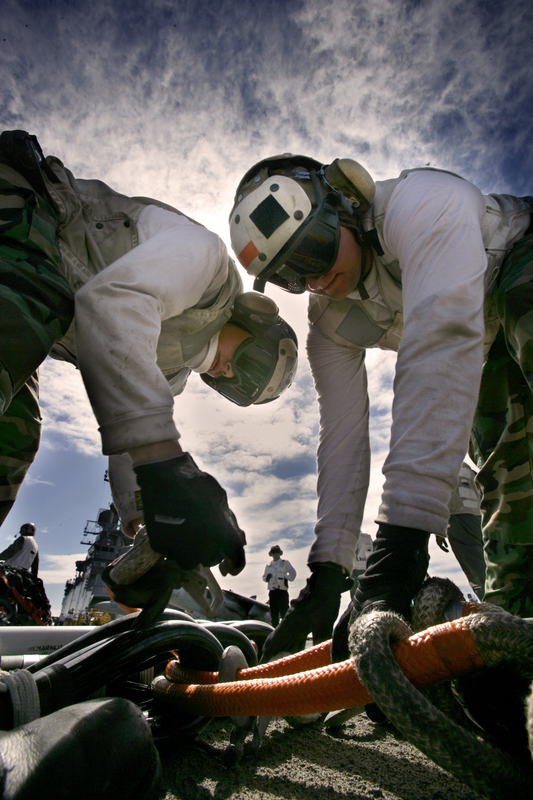 Sailors aboard USS Bonhomme Richard here gather cargo nets during an underway replenishment Sept. 30. The re-supply was the first for Bonhomme Richard since deploying Sept. 24 with more than 1,200 11th Marine Expeditionary Unit members. Pretty awesome. I have some pictures that I plan on taking off of FB too and will post those as I collect them. These pictures and send off pictures are all on my shutterfly site as well if anyone would like to see them. There is a news story on Marines.mil about the USS Bonhomme Richard receiving supplies at sea. Although I can not seem to access it. Could be the computer I am using at the moment. I will post the link anyway and check it later.